When Intel unveiled their rugged educational tablet last April I predicted that it would be overpriced and underpowered. I've just been sent a link to the first product listing for this tablet and I am correct on both counts. The cheap and powerful $200 educational tablet has morphed into a $700 tablet with a weak battery, outdated CPU, and running an unimpressive OS. It's easy to tell that the StudyBook is quite a few steps behind the technology curve. It's running Windows 7 Home, which is not at all a tablet friendly version of Windows. It has a single-core 1.5GHz Atom Z670 CPU, a 7" screen with a resolution of 1024x600, 1GB of RAM, 32GB of storage, and a pair of cameras (VGA and 2MP). This tablet weighs in at a husky 526 grams, much heavier than the Nexus 7 (340g). The extra weight is likely due to the Studybook's rugged case, but it is offset by an anemic 2.8Ah battery which is promised to offer 6 hours of runtime. Frankly, I don't believe it. 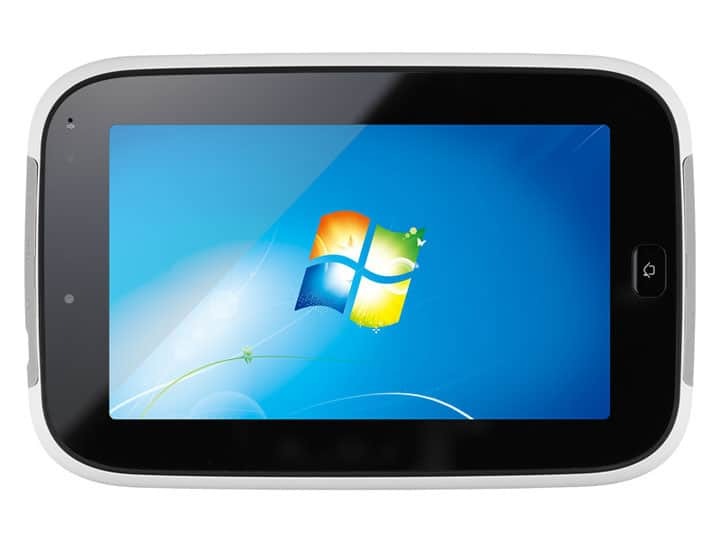 I have not found any details on the software that ships with this tablet, but Dynamism does describe this tablet as being "a valuable option for enterprises and mobile workers who need to rely on a durable, ultraportable, Windows tablet". Based on the lack of detail on the software I would not assume that this tablet ships with much in the way educational software. All in all, there is absolutely no detail about this tablet that would make it worth buying. It is not only ridiculously overpriced when compared to any of the educational tablets on the market, it is even a poor deal when compared to the MS Surface Pro tablet. That gadget retails for $900 and is both significantly more powerful as well as designed from the bottom up as a tablet OS. In terms of performance, the $200 Nexus 7 has the Studybook beat (just to name one device). It has a better and faster CPU, better screen resolution, better battery life, and it even runs an OS which was designed to work on a touchscreen. 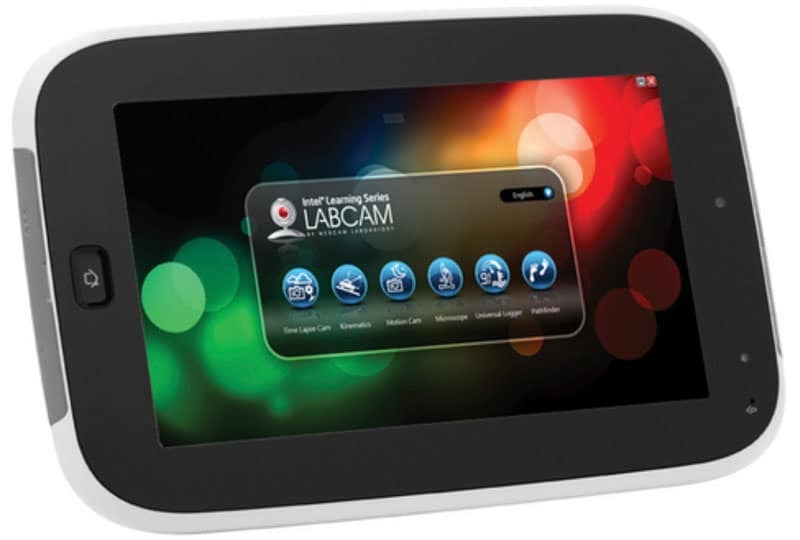 If you are looking for an educational tablet, even in that small niche there are any number of better options. In the 10 months since Intel announced the Studybook. everyone and their cousin has released or at least announced a kid's tablet. OLPC is working on the XO tablet. Archos, Polaroid, and even a small tablet maker like Ematic have released kid's tablets. Lexibook has released numerous models, including 7" and 10" tablets as well as a tablet convertible. But if I had to pick the best model I would go for the Fuhu Nabi 2. It has a price and specs similar to the NExus 7 only with software customized for kids. I don't know if Intel realized quite how much the market was going to change in the past 10 months, but they should have. The Studybook design was outdated only a couple months after it was announced, thanks to the Nexus 7 being released in June 2012. It met the $200 price point that the Studybook never reached and it had a multi-core Tegra 3 CPU. I have to wonder why Intel didn't beef up the Studybook as new and better tablets were released. In all honesty I don't think they could have done so; they're not nimble enough.